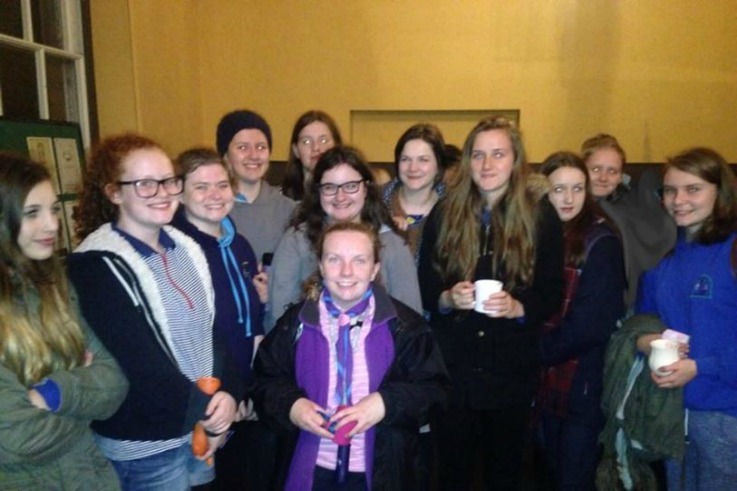 More than 40 Senior Section members from across Shropshire took part in our annual night time wide game around the grounds of local National Trust property, Attingham Park. The girls competed in small teams against one another to win the game, before reconvening to share hot chocolate and biscuits to warm up again. Photographed are Pontesbury Rangers who enjoyed taking part in the event.